Triple Exponential Moving Average (TEMA) is an enhanced version of the popular Exponential Moving Average. TEMA is fast-acting and more responsive to market changes. It was originally conceived by Patrick Mulloy. A single EMA, double EMA, and a triple EMA are used in its calculation. This indicator was developed on FXCodebase*. MA Method: Type of moving average used in calculation. * Links to third-party sites are provided for your convenience and for informational purposes only. 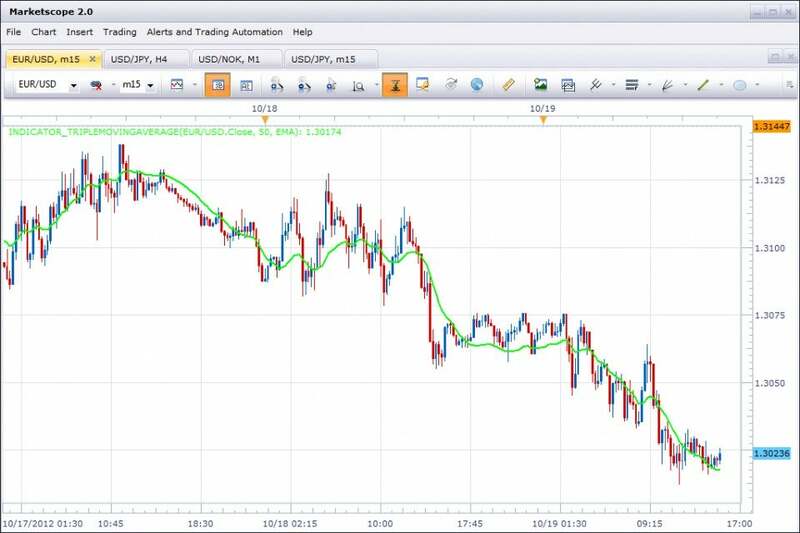 FXCM bears no liability for the accuracy, content, or any other matter related to the external site or for that of subsequent links, and accepts no liability whatsoever for any loss or damage arising from the use of this or any other content. Such sites are not within our control and may not follow the same privacy, security, or accessibility standards as ours. Please read the linked websites’ terms and conditions.